Free from the pressure of the grind, nature remains our constant. It inspires us to disconnect. To find space that gives us the opportunity to refuel our creativity, to escape the noise and come back recharged. 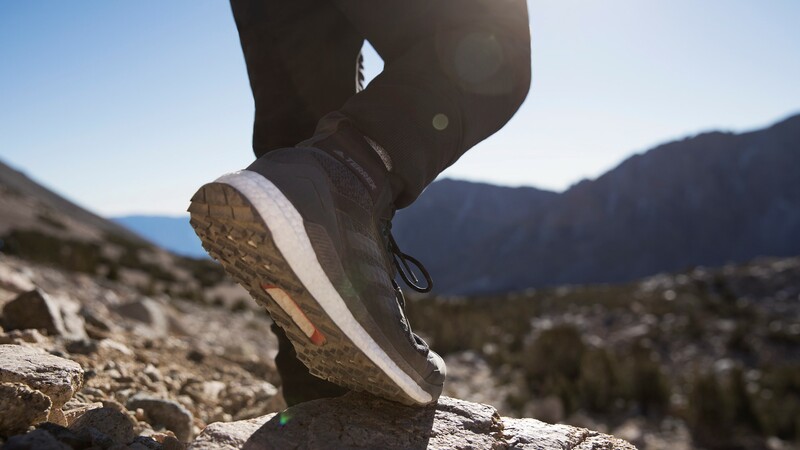 Introducing the new adidas TERREX Free Hiker; the pinnacle of performance footwear tech and comfort – your access point to freedom of mind. 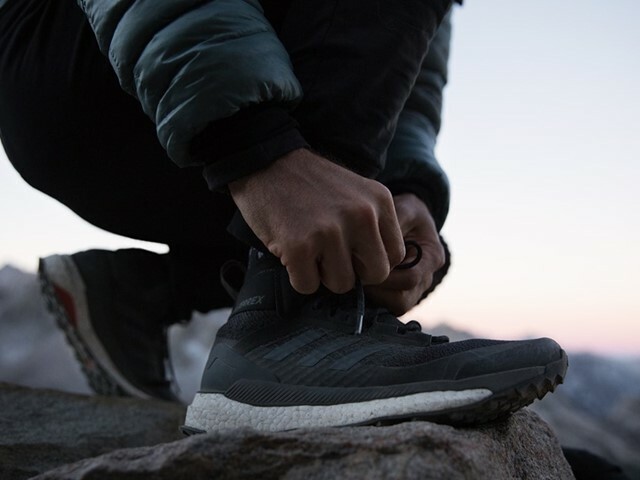 Switch off, lace up, and power on in the first hiking boot with BOOST™ technology for endless energy-return cushioning, built to survive the toughest elements and temperatures. 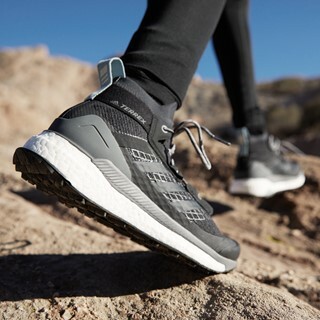 A water repellent PRIMEKNIT upper provides sock-like comfort which stretches for different foot shapes, and even changes as the foot expands on longer hikes. 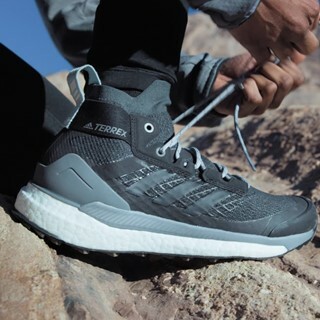 Breathable and lightweight, but with the necessary cushioning and long-term comfort the adidas TERREX Free Hiker weighs only 385g (men’s). 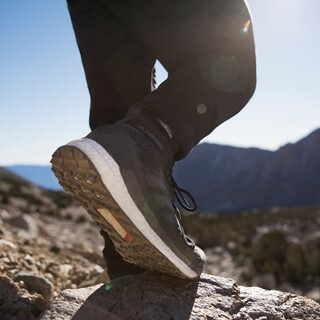 The shoe flexes naturally with the foot, while protection comes from a mid-cut profile and Continental rubber outsole for grip on any terrain. 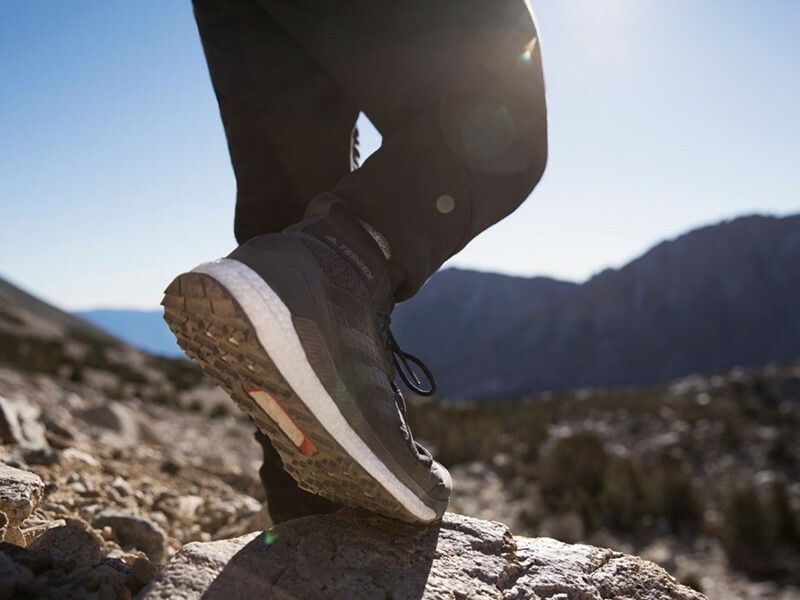 Combining uncompromised performance with style, this shoe packs innovation to take you from the city to the outdoors. 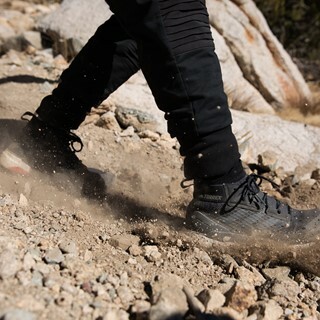 From heavy traffic to the rugged trail, you are now free to roam. Get out there, ESCAPE THE NOISE. Men’s shoe weighs 385g / Women’s shoe weighs 340g. We are proud to count outstanding athletes such as Sasha Di Giulian, Shauna Coxsey, Kevin Jorgeson, Martin Söderström, Kai Lightner, Mina Markovič, Luis Alberto Hernando and the Huber Buam in our family. 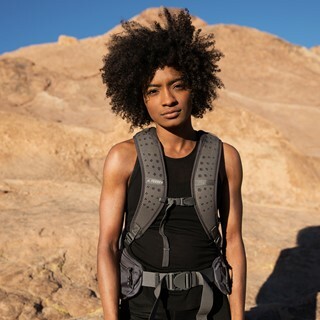 We are a long-standing title sponsor for adidas ROCKSTARS, the contest for the international bouldering elite and are excited to be bringing a sustainable new trail running concept to life with Infinite Trails, a world championship event that brings together grassroots runners and elite athletes.